In 4WD Showroom Scott Millar in his Mitsubishi Lancer Evolution X has a 22 second lead over Angus Kennard. In 2WD Showroom Adam Spence, continues to be consistent and has extended his lead to 18 seconds over Grant Denyer, the former Sunrise weather presenter. In Showroom Sports it is going to be a battle of the Chevrolet Corvette Z06’s. Neill Ford is currently in the lead but Daniel Ford is hot on his toes just 1 second back from the leader. Hot favourite, Craig Dean appears out of contention after experiencing mechanical drama’s earlier in the day despite posting a good result on TS7. 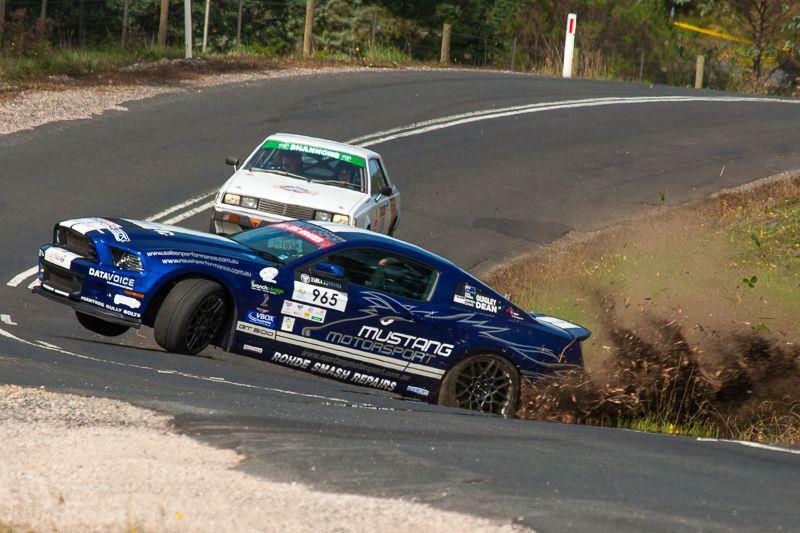 This entry was posted in Targa Live on 17/04/2013 at 2:22pm by TARGA LIVE.